The winner of the 500 Business Cards giveaway was just announced, and today is the day for the next great contest on Marcofolio.net. This one especially goes out to all freelancers out there. 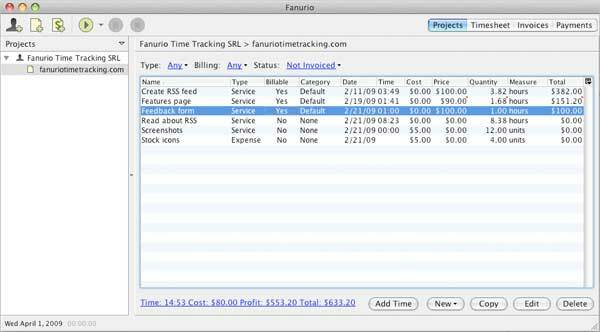 Three lucky readers will be able to win a license for Fanurio - a time tracking and billing software for freelancers. Read the rules below to find out how you can join this contest: it's pretty simple! 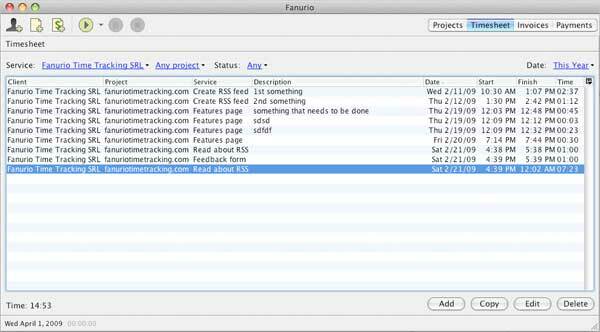 If you're one of the three winners, you'll receive on licence for Fanurio, a great time tracking application for freelancers. Make sure you join this contest quick, since it ends on July 2nd and you'll automatically receive information if you have won a prize. Good luck to everyone! You can also check the Long List of Features. Example: Simply leave a comment like this. I tweeted about this contest here: http://twitter.com/marcofolio/status/2314932198. That's all you have to do! The final date has passed and Michael, Kelly and Dotch won the licenses. Congratulations!